Here’s me, a mirrorless user for about three years now and exclusively mirrorless for the last 18 months. It stands to reason that it wasn’t going to be long before I got my hands on the Lumix S1 to put it through its paces. So, I hired one from Lenspimp and gave it a 10-day test drive. It’s impossible to discuss this camera without making comparisons; after all, that’s what product development is all about. It’s evolution. Over ten days out and about with the Lumix S1, I built up a pretty clear picture of how this camera measures up to others in the marketplace. It intrigued me to see the path Lumix has taken with the S1. There’s been a lot of buzz around the new Panasonic S1 full frame mirrorless camera. Some of it good, some of it not so good. People like to complain about the size and weight, and the fact that it doesn’t have a flippy out LCD like the GH5. But how about the good? 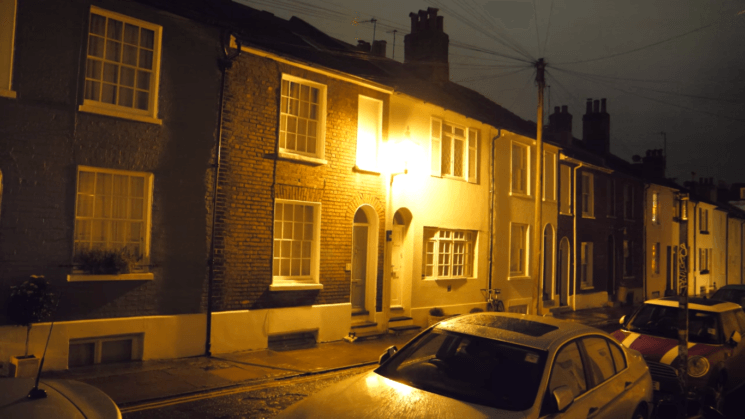 Well, cinema5D has been having a play with the Panasonic S1, and when it comes to low light performance, they feel it could be the new king in town. Low-light high-ISO performance has become the new megapixel war, particularly when it comes to video. And this year, there have been a lot of new cameras released trying to push those limits. In this video, YouTuber and filmmaker, Max Yuryev puts five of them to the test. He compares the Sony A7III, Nikon Z7, Canon EOS R, Fuji X-T3 and the Blackmagic Pocket Cinema Camera 4K to see which is the low-light king. The first two things that come to my mind when someone mentions an f/0.95 lens are “bokeh” and “low light capabilities.” And sure, these are both great. However, shooting with a lens this fast isn’t all sunshine and rainbows. In this video from Manny Ortiz, he’ll show you the good and the bad sides of photographing portraits with a lens like this, and he’s using a Mitakon 50mm f/0.95. One of the biggest problems with action cameras today is their ability to deal with very low light. Or, to be more accurate, a lack of ability to shoot under very low light conditions. The new Aurora from US-based night vision company SiOnyx is a new action camera that claims to be able to shoot under light levels as low as moonlight. Streets lit by neon lights are an interesting, but challenging environment for shooting portraits. You may struggle to focus your images and keep them sharp. In this video, Rachel and Daniel of Mango Street will give you some tips for nailing night portraits and getting the best out of your shots both in camera and later in post. When shooting in low light, you need to either shoot at long exposures on a tripod or crank up the ISO if you want to shoot handheld. A group of researchers at the University of Illinois Urbana-Champaign and Intel are bringing the best of both worlds. They’ve trained AI to process low-light images so they’re much cleaner and more usable than grainy photos where ISO is too high. This tech could let you shoot at faster shutter speeds and lower ISO and still get with sharp, clear photos. The dual camera system is still relatively new and it’s mainly integrated into high-end phones. However, Samsung will soon enable dual camera features even in cheaper smartphones. The company has introduced ISOCELL Dual image sensors and proprietary software for achieving bokeh effect and low light shooting. High ISO performance has become the new megapixel wars. Everybody wants cameras that can see in the dark, and they want them to be able to do it at ISO100 quality. There are a number of DSLRs and mirrorless camears out there with very good low light performance. The Nikon D5 and Sony A7SII, for example. But even their ISO performance can’t really compete with Canon’s ME20F-SH. Capable of shooting up to ISO 4.5 million, this camera’s sensor records a mere 2.2 megapixels. A team of marine biologists recently put this camera to the test. To see just how good it really was. Their subject was newly discovered species of biofluorescent sea turtle in their natural habitat. Panasonic Lumix GH5 is a camera many Panasonic video shooters were anxiously waiting for. We recently reported about it as it was released for pre-orders. The shipment starts in late March 2017, so you’ll have to be patient for only a little more while. But in the meantime, you can take a look at how well this camera performs in low light conditions.